Brace yourselves – an iconic beauty behemoth is relaunching with a bold new look this week. 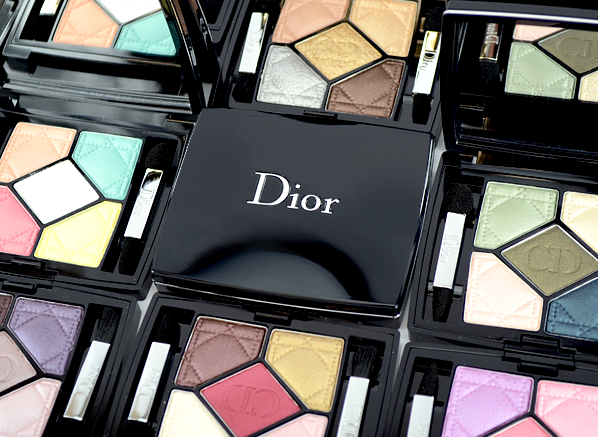 The Dior 5 Couleurs Eyeshadow Palette is getting the ultimate wardrobe update with 11 brand new colour ways in a kaleidoscope of exceptional pigment and texture. 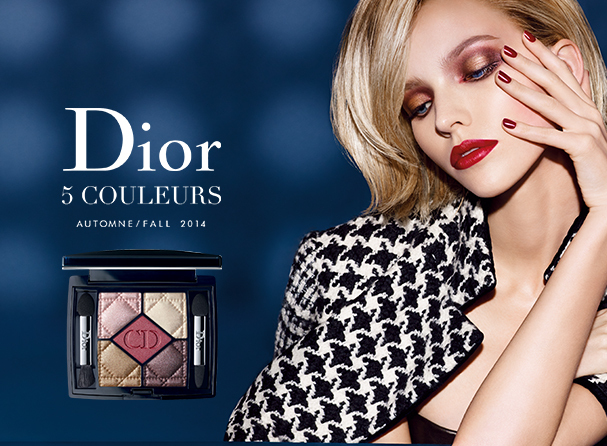 And Dior is so pleased with the new look, their entire autumn make-up look for 2014 is dedicated to its sleek beauty. 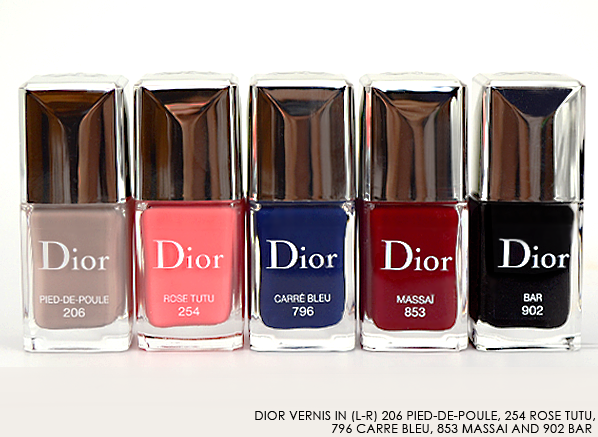 As well as the 11 new harmonies (3 limited edition), there are five brand new lip colours and four new shades for nails, which celebrate the couturier’s five favourite colours: Trafalgar Red, Bar Grey, Tutu Pink, Pied-de-Poule Black and Carré Bleu. It’s the ultimate all-seasons wardrobe. 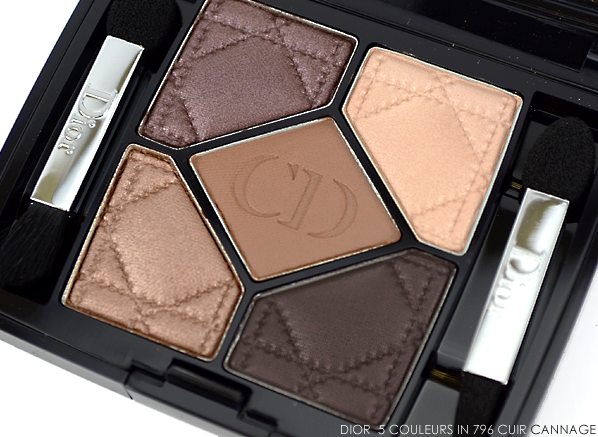 Dior introduced the 5 Couleurs palette as we know it back in 1987. 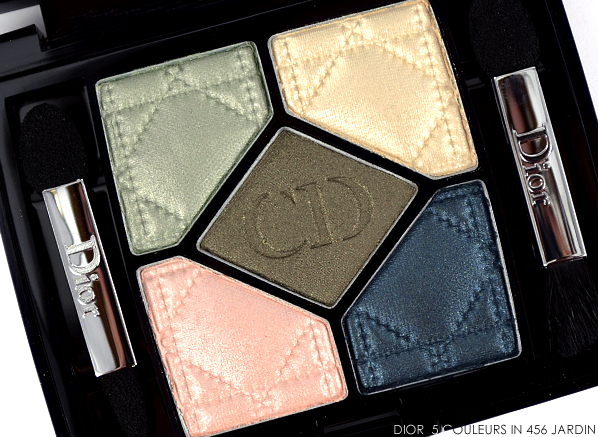 For its 2014 reinvention Dior looks to the catwalk, re imagining eyeshadow harmonies as though they were different fabrics. Velvet, leather, taffeta, silk and wet-look materials are translated as intense mattes, soft satins, exceptional iridescents and dazzling glimmers, each one glowing with avant garde charm. 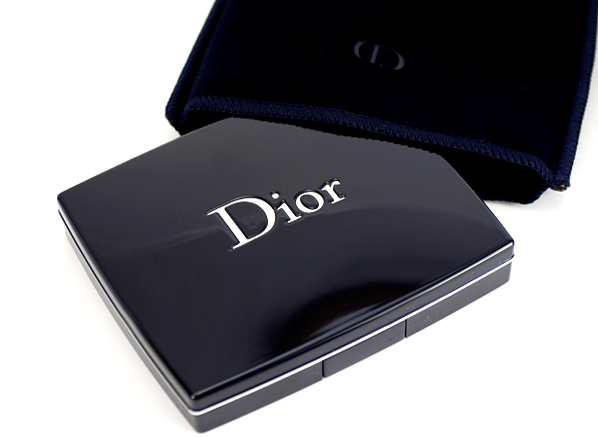 The new-look Dior 5 Couleurs is presented in a slimmer case than before, making it a little lighter and perfect for travel. Open it up to reveal a large mirror, your five beautifully embossed eyeshadows, and two double-ended applicators that allow you to apply, blend and line like a pro. 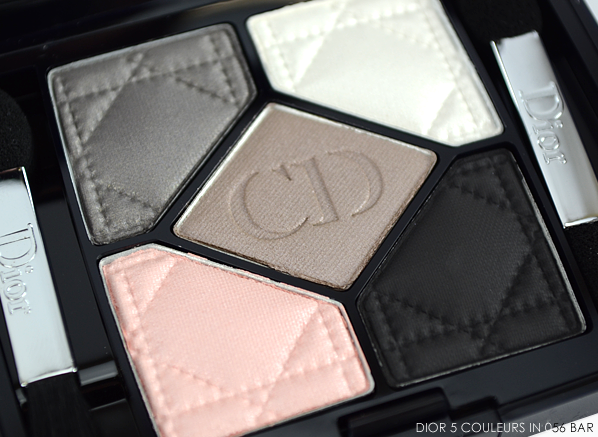 Dior 5 Couleurs in 056 Bar (limited edition): an easy-to-wear harmony of chromatic greys, classic black and a pairing of radiant pink and white reminiscent of a twin-set and pearls. 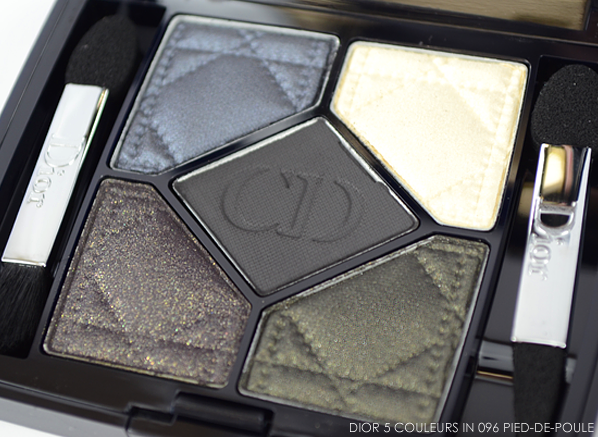 Dior 5 Couleurs in 096 Pied-de-Poule: an edgy collection of almost-blacks, with petrol blue, soft cream, matte black, charcoal grey with golden shimmer, and forest green. 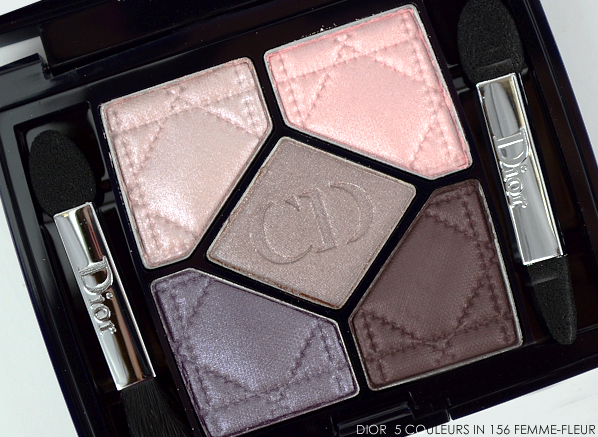 Dior 5 Couleurs in 156 Femme-Fleur: tone-on-tone pinks and purples create a Parma Violet effect, with subtly glowing satin textures that gleam like ribbons. 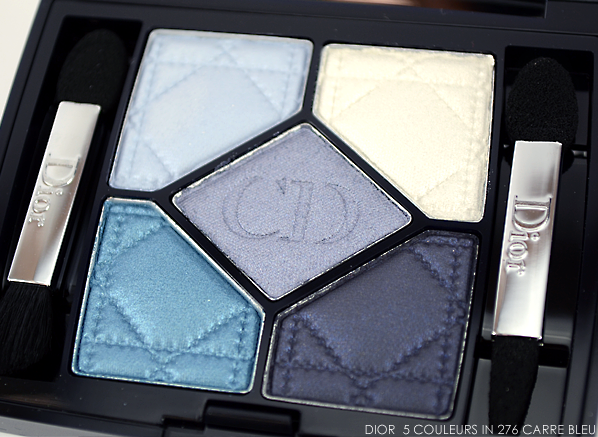 Dior 5 Couleurs in 276 Carre Bleu: an ode to the serenity of blue, from deepest denim and a spike of electric blue, through to soft, powdery shades the colour of a summer’s day. 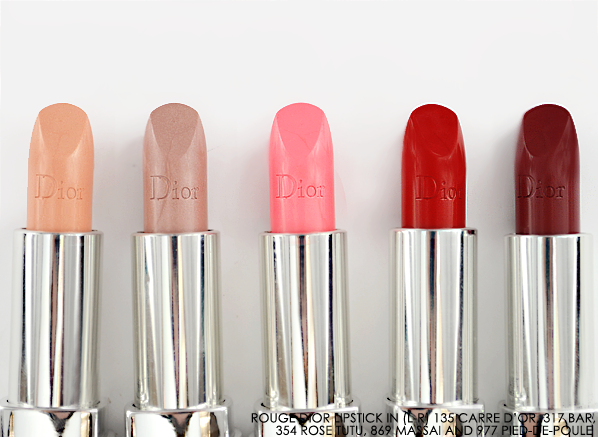 Dior 5 Couleurs in 456 Jardin: an ode to a garden in full bloom, capturing the beauty of Christian Dior’s flower gardens with fresh sprays of green and sugared almond pink. 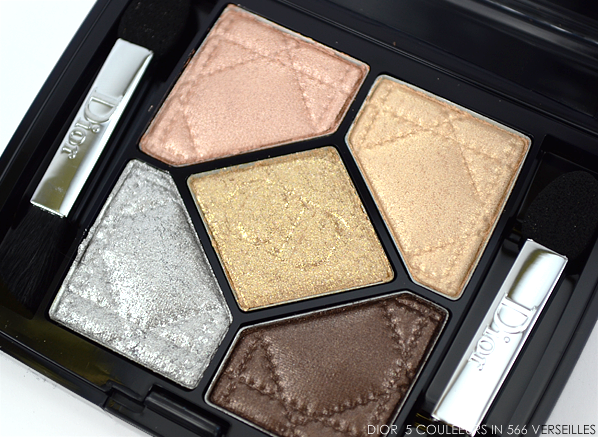 Dior 5 Couleurs in 566 Versailles: a statement harmony that glitters with the magnificence of Versailles, perfect for creating a striking lamé effect with platinum, bronze and liquid gold. 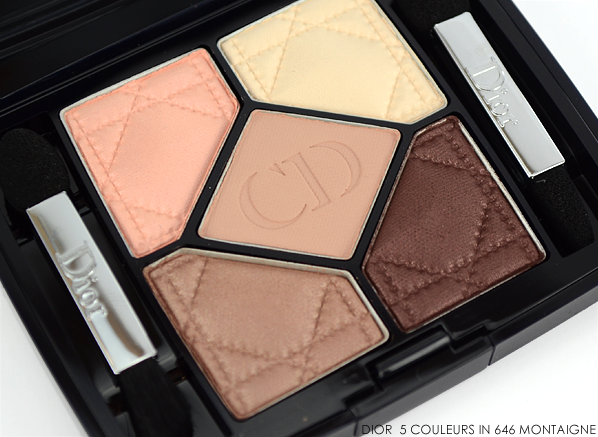 Dior 5 Couleurs in 646 30 Montaigne: understated luxury for the eyes in a tone-on-tone harmony of pinks and beiges, which helps you to create the ultimate neutral eye. 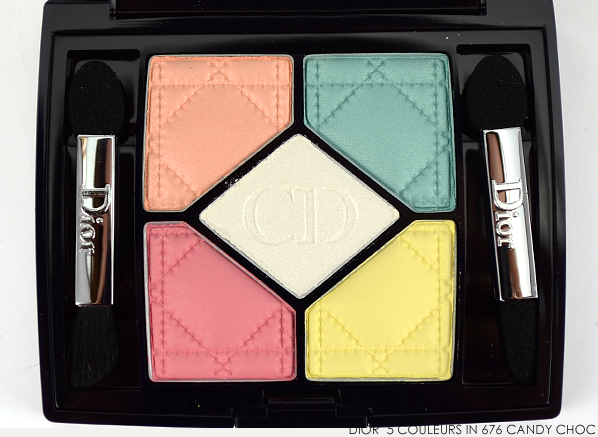 Dior 5 Couleurs in 676 Candy Choc: the ultimate clash, a Couture approach to eyeshadow that has fun with colour, featuring white, bubblegum pink, mint green, mandarin and lemon. 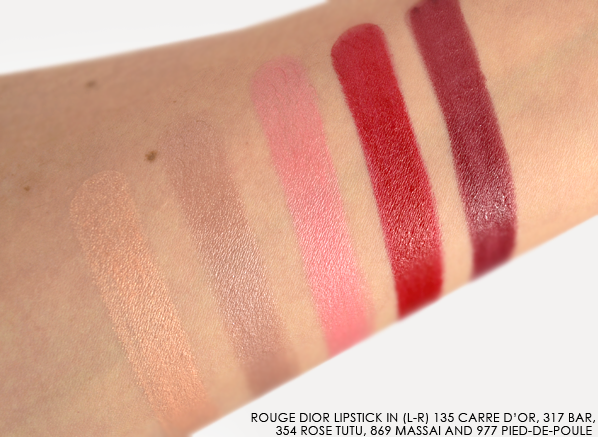 Dior 5 Couleurs in 796 Cuir Cannage: lustrous, tone-on-tone copper shades that evoke the texture of leather, creating a deeply sensuous yet wearable look. 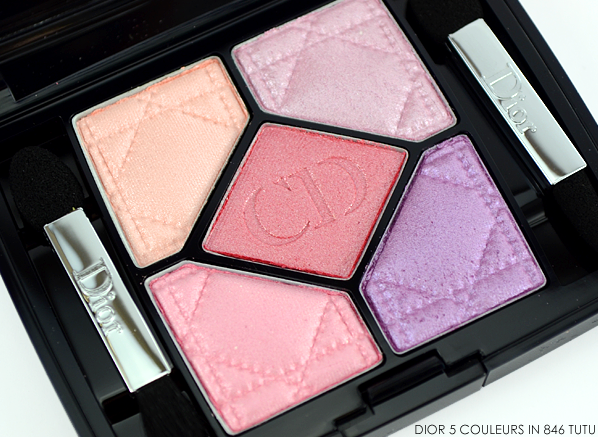 Dior 5 Couleurs in 846 Tutu (limited edition): a tribute to ballerina pink, and a study in masterful delicacy, this combination of pearlescent and satin shades gleam on the eyes with a fairy effect. 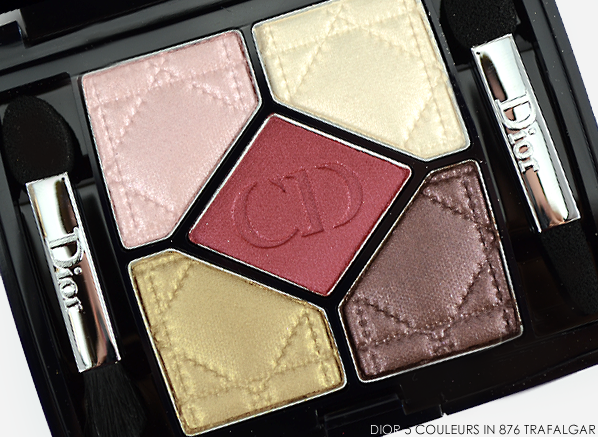 Dior 5 Couleurs in 876 Trafalgar (limited edition): the gorgeous harmony featured in the main visual, this combination of colours is lead by striking carmine red, and accented in gold. This entry was posted on Monday, August 18th, 2014 at 10:35 am and is filed under Make-up, New products, Swatches, Tried & Tested. You can follow any responses to this entry through the RSS 2.0 feed. You can skip to the end and leave a response. Pinging is currently not allowed.